A sedentary lifestyle is common in the age of digital technologies. Today, so many processes go online that people of different professions slouch at their PCs for most of the day. But one man’s problem is another man’s profit. The demand for chiropractic services is currently higher than ever, so being a chiropractor can be rewarding unless the only clients you have are your relatives. Keyword research will help you to optimise your chiropractic website in a way that increases your exposure. While word of mouth still works today, more and more people go to Google with their health problems. Let’s face it. Who of us hasn’t tried to diagnose ourselves online? The web is full of your potential clients, that’s why you must promote your chiropractic services there. And it takes more than just creating a page on Facebook. A sure-fire way to get more eyes on your business is from organic search. That’s why you need to build a site and optimize it for the right keywords. Not all terms that seem promising at first glance drive traffic in the end. 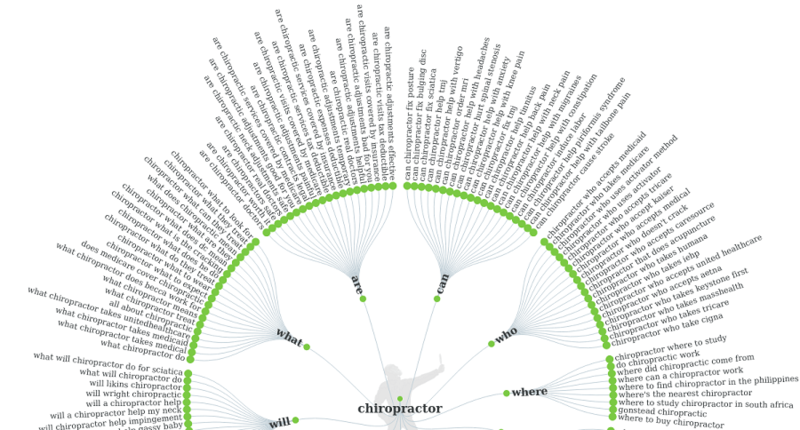 In this guide, you’ll learn how to choose keywords that work for chiropractors. To learn about your potential clients’ concerns, browse medical forums, social communities, and Q&A platforms like Quora. Google’s Search Engine Results Page (SERP) also has a few features revealing real users’ queries, not just suggestions. The engine’s search bar is equipped with an Autocomplete option. While typing in some phrase, you will see possible ways to complete it. Under organic results, there’s a box with Related Searches. There, you can check more variations of your query. Besides question-based keywords, you can also optimize your content for niche-specific terms like “chiropractic services.” Some people do use them when performing a search. Of course, such keywords are too broad and won’t get you far. To compete with other chiropractors, you’ll need to make them more specific, i.e. transform them into long-tail keywords. Although long-tail keywords have a low search volume individually, they can generate a lot of traffic collectively. Here’s the thing. When people browse the web for the same info, they use different words and constructions. But the intent behind their different queries is almost identical. In the era of RankBrain, Google is focused on the user intent rather than wording (more on this in Step 6). To find long-tail phrases, filter the volume of your broad keyword by around 40-90 monthly searches. Look for long tail keywords. 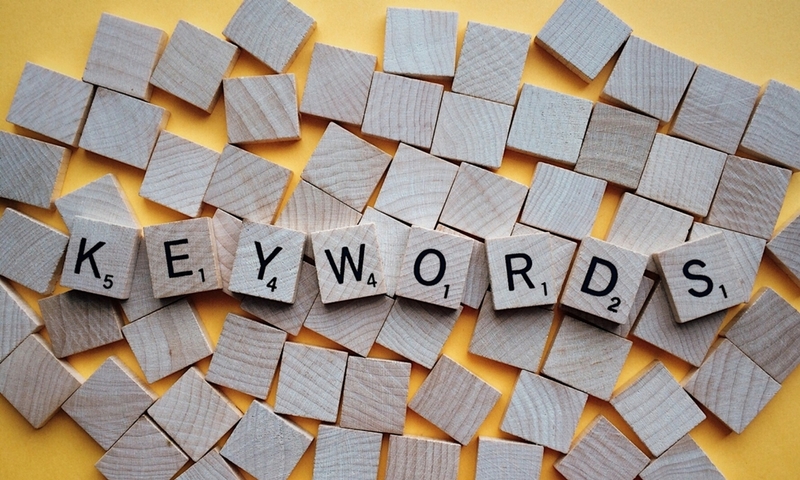 While long-tail keywords play a crucial role in SEO, some broad terms are also worth a try. To identify low-hanging fruit among them, you should analyze a few metrics. Check them out one by one below. A ranking difficulty is the first metric to learn about your target keyword. For example, “advanced chiropractic” has a low difficulty score of only 9, which means it’s one of the easy-to-rank keywords for chiropractors. Plus, it gets around 4.4K searches per month. The fact that a keyword gets a lot of monthly searches can be misleading. There’s no guarantee that all of those searches will convert into clicks eventually. Thanks to Google’s Knowledge Cards, some queries get instant answers above organic results. As a user, you may find this SERP feature quite convenient. Let’s type in “founder of chiropractic.” The answer is before your eyes, and you don’t have to waste time on exploring organic results. Cool, right? Click metrics for chiropractic keywords. Always check whether Google displays a Knowledge Card for your target query. If it does, your content will generate minimum visits. To make sure your work pays off, use keywords that have a high click-through rate. Another metric to keep in mind is keyword seasonality. Some queries are in search mostly during a specific period. For example, “winter injury” reaches its maximum search volume in February (northern hemisphere) and in August (souther hemisphere). Next month, it suddenly drops and starts growing slowly closer to the next winter. To track the yearly interest for your target query, use Google Trends. Successful chiropractors have already optimized their sites for well-performing keywords and get a steady flow of traffic. To drive some of it to your content, you’ll need to play with their low-difficulty keywords. The question is how to identify them. The easiest way is to use tools known as SERP checkers. With their help, you can see the top chiropractic posts for your target keyword, their traffic estimates, and keywords behind that traffic. Borrowing content ideas from the top chiropractors can do the trick at the beginning. But once you get the ball rolling, you will need to publish original topics, i.e. those that haven’t appeared on dozens of sites in the re-written form. If you see the same question on different medical forums, no one has probably written a detailed post on it yet. You can be the first chiropractor to do it. Answer The Public visual keyword tool. On click, you can analyze SERP for the chosen keyword. You’ll see topics already written around it and figure out whether you can add something original. In-depth research will result in tons of chiropractic keywords. For example, the broad term “chiropractor” gets almost 3,000 long-tail variations, with the filter of 40-90 monthly searches applied. Of course, you can’t load your content with all of them. Even if you try to distribute them among 100 posts, that’s still too much. Some keywords differ in the structure only, while their meaning is quite similar. As mentioned in Step 2, Google has stepped aside from word-for-word query interpretation with the release of RankBrain. Currently, the engine is intelligent enough to understand the meaning behind queries. There are a few things that have little to no impact on the query meaning. So, Google skips them when analyzing users’ queries. So should you. Google doesn’t focus on the word form, be it a singular or plural, infinitive or gerund, etc. For the query “back pain treatment,” you’ll get results with the word “treatment” used in the plural. What’s also no big deal for Google today is the word order. Let’s type in “pregnancy chiropractic care.” The word “pregnancy” is at the beginning of the original query, but at the end of the target phrase in search results. Note: These figures are based on average search volumes over the past 12 months from the Sydney area – these results will be different in your city. On the one hand, there’s nothing difficult in choosing the right chiropractic keywords. But on the other hand, in-depth research can keep you confined to your PC for many hours. In the end, you may need chiropractic services yourself. If you are short on time or just want to skip the tedious part, contact Premier Practice. 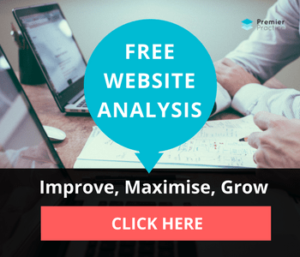 Not only will you get help with strategic keywords for chiropractors, but also with many other SEO aspects including content creation, link building, etc. These days there is so much more work required by business owners to be successful online. Gone are the days when any old website design, stuffed with keywords, would suffice. You need to invest considerable time, energy and resources into creating great content that your target market will want to read. We can help. Check out our SEO services here. Nick Campbell (Ahrefs) is a content creator and marketer with an interest in technology, SEO, and copywriting. Work up every idea from chaos to clarity is his motto.